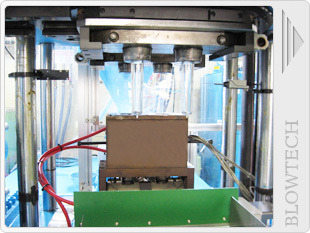 Step-3: Servo table rotates 180 o.
Step-4: Transfer preform to blow mold. Step-5: Blow mold closes to blow. 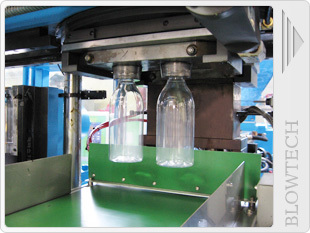 Step-7: Transfer bottles to eject stand. 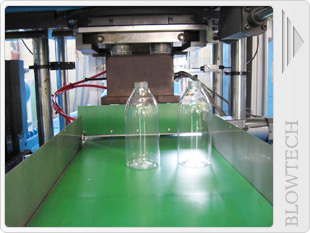 Step-9: Conveyor transfers bottles out. 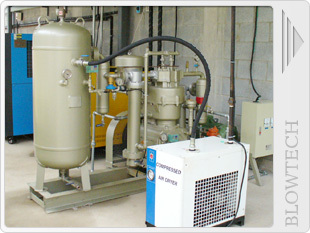 Waste (Burr) Waste continuously comes out form production line. Small container is with higher waste ratio. Material cost is much higher. 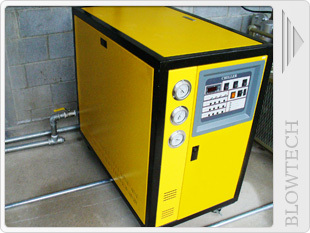 Waste comes out only during start-up stage, free from recycle problem. 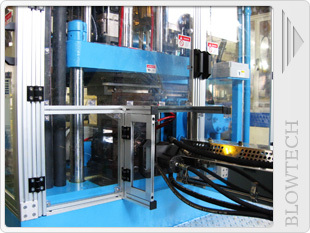 Orientation Higher process temperature causes low orientation. Highly orientation, container is much stronger. 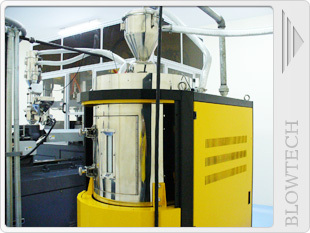 Investment Investment is low because only extruder and blow mold are required. Investment is higher. 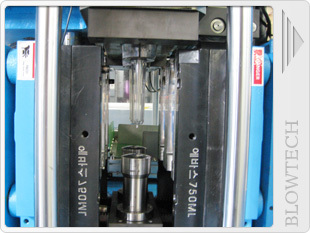 In addition to injection machine and blow mold, extra injection mold is required. Over all efficiency is higher. Clarity With flow mark, less clarity. No flow mark, high clarity. Partline on Base Partline on base, which becomes a week point. No partline on base, container is stronger. Shape of Base Partline on base, shape of base is limited. 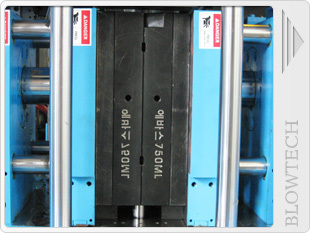 Many base shapes are available, better outer appearance. Neck Dimension Dimension is not stable. Accurate in neck dimension. Neck Opening Opening is not flat. 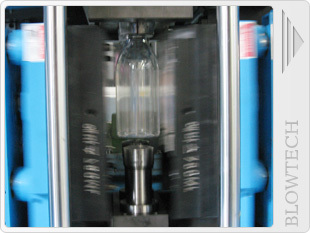 Opening is flat and without any leakage. Wall Thickness Wall thickness is not even. With even wall thickness. 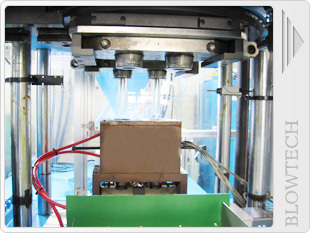 Weight Container is heavy, higher material cost. 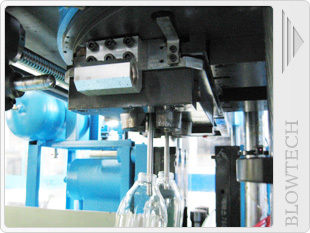 Container is lightweight, lower material cost.